Atikokan is named the "Canoe Capital of Canada" - and for good reason. Atikokan is situated just north of famous Quetico Provincial Park, as well as being in the midst of many other lakes and river systems. Quetico has an international reputation as a canoeing wilderness without equal. Quetico's isolation and limited travel permits help to protect and preserve this wild landscape. Motorboats are not allowed into Quetico, ensuring a truly peaceful paddling trip. You'll never run out of canoe routes to explore in Quetico's 4800 square kilometers. Northwest of Atikokan is also the Turtle River/White Otter Wilderness area that is fantastic for canoeing. You can even visit Jimmy McOuat's castle, the White Otter Castle. There are many other waterways to enjoy including the Seine River Chain of Lakes, Clearwater West Lake, Pekagoning Lake, Wasp Lake and Lake Superior. The canoeing options are endless: paddle-in and paddle-out trips, fly-in and paddle out, full or partial outfitting, guided or unguided. These canoe trips are where you would start canoeing or kayaking at a starting point and then your paddling adventure ends at the same location. Your outfitter will arrange for your transportation to and from the starting point. The trips can be guided or unguided, partially or fully outfitted. You'll be flown out to a remote lake or river system and you paddle back out. The trips can be guided or unguided, partially or fully outfitted. For those that want a bit more comfort, some packages will also offer to fly you and your canoe into a cabin. Can't find a package or route to suit you? Many of the canoe outfitters will customize a canoe trip to suit your needs. 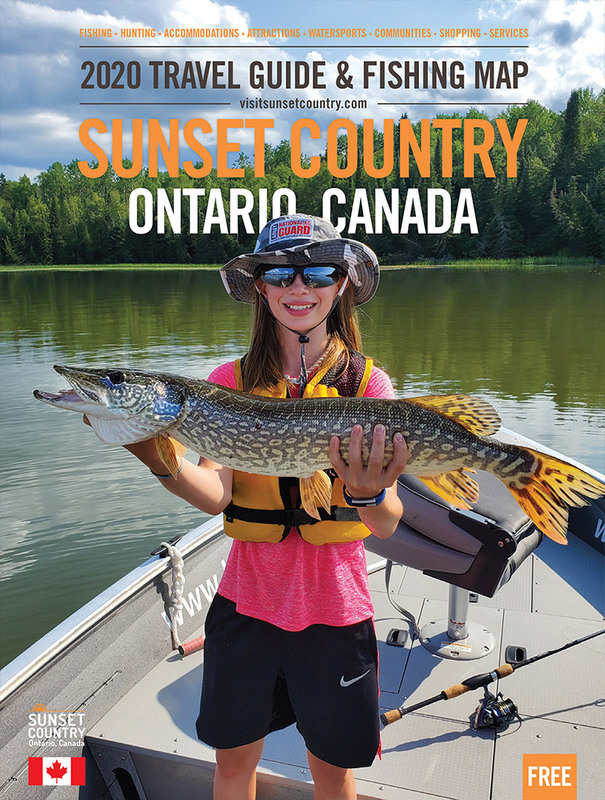 When you're not paddling, enjoy fishing, viewing ancient pictographs, wildlife such as moose, bear, eagles and sitting back in the evening relaxing and watching the sunset. The fishing is great in the Atikokan area. The main species of fish are walleye, smallmouth bass, northern pike and lake trout. You may also find muskie in some lakes.